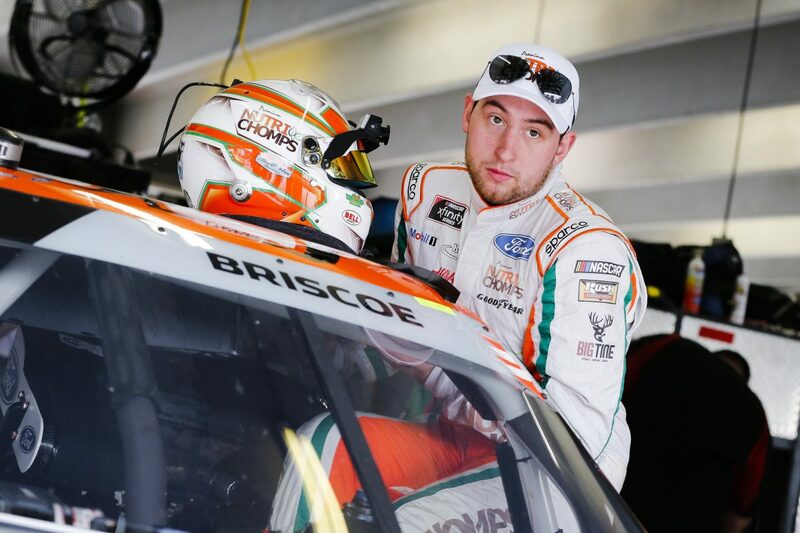 – Briscoe started 28th and worked his way up to 12th in the opening 25 laps. He gained two additional spots over the next 15 laps and finished Stage 1 in 10th-place earning a stage point. – The Nutri Chomps team gained two spots on pit road and started Stage 2 in eighth. Briscoe was shuffled back to 14th on the opening restart and finished eighth in Stage 2 to earned three stage points. – Briscoe and the No. 98 team started fourth in the final stage after a four-tire pit stop at the conclusion of Stage 2. – The No. 98 Ford pitted running fifth with 42 laps to go and ran sixth for much of the final stage. – A cut right-front tire with 15 laps remaining forced Briscoe to make an unscheduled pit stop. – A late-race caution allowed the No. 98 team to gain one lap back and finish the race in the 15th position. Next Up: Boyd Gaming 300 at 4 p.m. EST on Saturday, March 2 from Las Vegas Motor Speedway broadcast by Fox Sports 1.